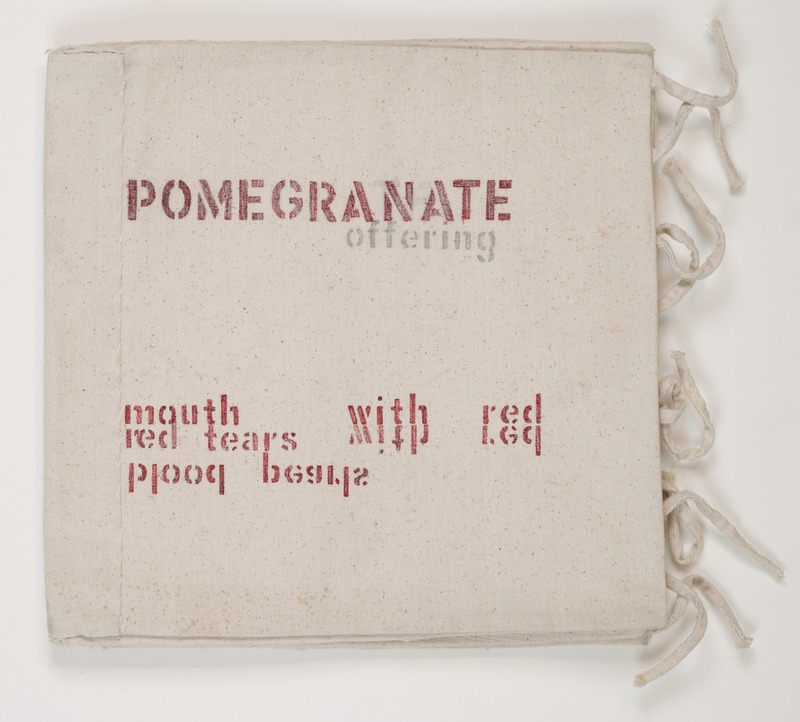 View artworks and ephemera from the Cha archive at BAMPFA in dialogue with her best-known work, the artist's book Dictee. Theresa Hak Kyung Cha: Aveugle Voix, 1975; performance, 63 Bluxome Street, San Francisco; BAMPFA, gift of the Theresa Hak Kyung Cha Memorial Foundation. Photo: Trip Callaghan. 14 1/2 x 14 3/4 in. 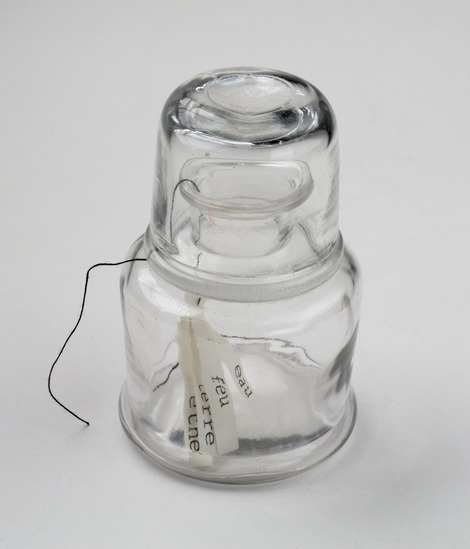 A clear glass jar with lid containing 5 pieces of paper with type-written text and black string. This panel takes a fresh look at Theresa Hak Kyung Cha’s influential book Dictee and its relationship to the rest of the artist’s work. 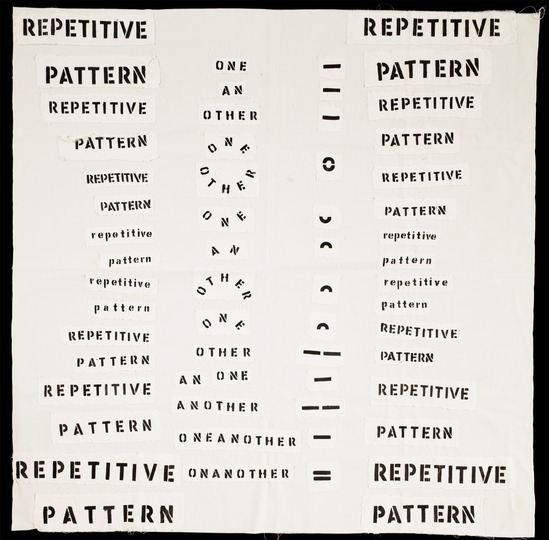 Cannizzo explores Cha’s art through the lens of her influential artist’s book, weaving in Cha’s long history with UC Berkeley and BAMPFA. Theresa Hak Kyung Cha: Avant Dictee offers viewers an opportunity to experience the work of this prolific artist in a new way, through her best-known work, the artist’s book Dictee. 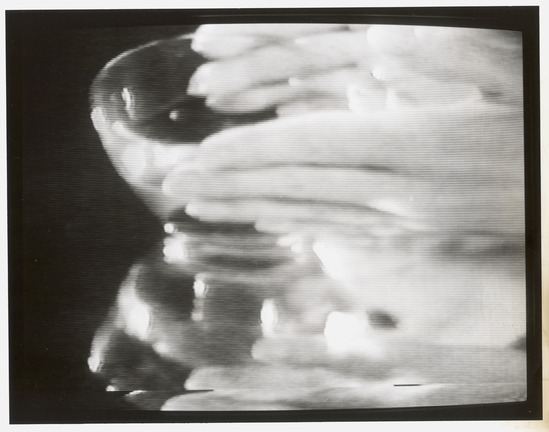 Placing the book as a point of entry into her wider creative production, the exhibition explores resonances between Dictee’s ten thematic sections (nine of them named for the Greek muses) and artworks drawn from the Cha archive at BAMPFA. Cha’s oeuvre was profoundly interconnected across works and media, and she returned again and again to certain key themes. Avant Dictee includes art and archival documents—artist’s books, photography, concrete poetry, video, performance documentation, mail art, sculpture, and works on paper—in conversation with the chapters in Dictee. Some works are clearly related, such as an image in the book that references the artist’s father’s original calligraphy, seen in the exhibition. Other relationships are less direct, such as a work’s connection to a statement or question posed in the book. Theresa Hak Kyung Cha (1951–1982) was born in Pusan, South Korea, and emigrated to the United States, settling in San Francisco with her family in 1964. She attended the Convent of the Sacred Heart, a Catholic high school where she learned and fell in love with the French language. Much of the work in the exhibition was created during Cha’s time as a student at UC Berkeley, where she earned four degrees (in comparative literature and art) between 1973 and 1978. Greatly inspired by her professors Jim Melchert, who introduced her to Conceptual and performance art, and Bertrand Augst, who launched her interest in film theory, Cha made a body of work that explores language, memory, time, history, and the spaces in between.